This book includes contributions from top scholars who outline the best leadership practices for the benefit of the practicing leader. 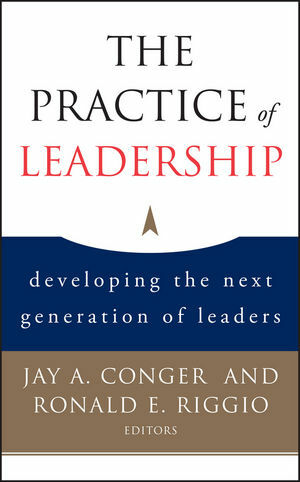 Each chapter focuses on a specific area of leadership practice and ends with a set of "take away" best practices in each area—an executive summary in reverse—that will serve as a quick reference for those who might want to peruse chapters, but still extract the best practices, as well as a summary for those who thoroughly read each chapter. Jay A. Conger holds the Kravis Research Chair in Leadership Studies at Claremont McKenna College. He is the author of twelve books, and he researches executive leadership, organizational change, boards of directors, executive derailment, and leadership development. BusinessWeek described him as the best professor to teach leadership to executives. Ronald E. Riggio is Henry R. Kravis Professor of Leadership and Organizational Psychology, and Director of the Kravis Leadership Institute at Claremont McKenna College. Riggio is the author or editor of over a dozen books and nearly 100 articles and book chapters. 3 Shifting the Emphasis of Leadership Development: From “Me” to “All of Us” (Patricia M. G. O’Connor and David V. Day). Part Four: Leading in Today’s World. 12 Best Practices in Leading under Crisis: Bottom-Up Leadership, or How to Be a Crisis Champion (Ian I.Mitroff). 14 Best Practices in Cross-Cultural Leadership (Mary B. Teagarden). The chapters are written by the most renowned leadership scholars who draw on their research to provide leaders with a comprehensive guide to the best leadership practices. Examines how to select and develop leaders. Contains information about the specific tasks required by leaders. Outlines the best practices in organizational leadership. Includes a variety of perspectives on leading in today’s world.